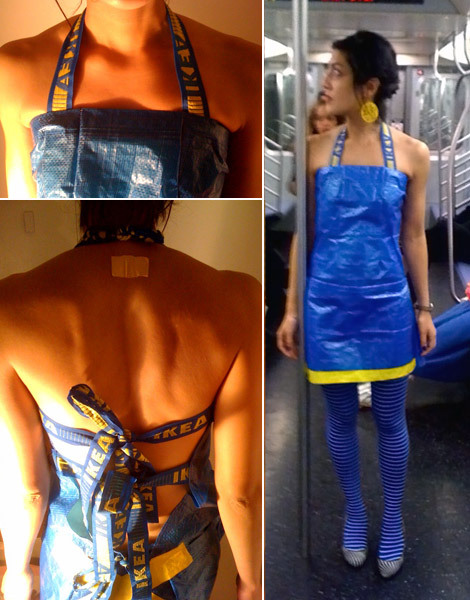 Dare To Wear The Ikea Blue Bag Dress? 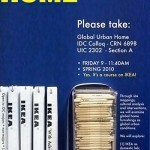 Like many of you, I’m trying to get beyond the industrialization and unvarying of living that is Ikea. 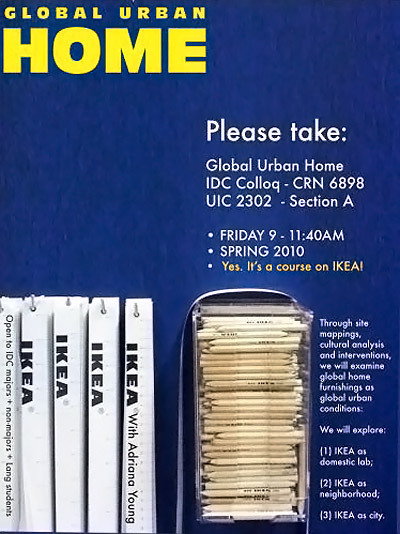 I, like many of you, am an Ikea Hacker wannabe. 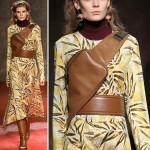 I fashioned the top of the bag and one handle as the neckline and halter for the top of the dress. Then I cut open the seams of the rest of the bag to make a backless, A-Line outfit. I sewed darts in the front and back to be shapely for my bust and back. I cut the long handles off of two more bags to create ties for the back of the dress. Waterproof and ready to tote! 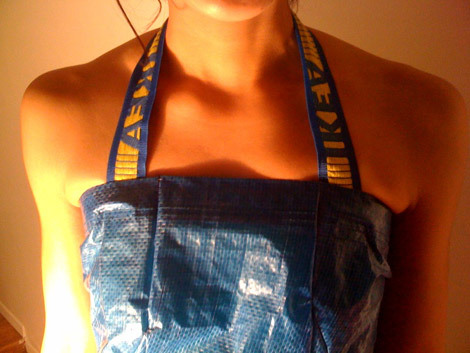 That’s Adriana’s recipe for a successful dress made from an Ikea blue bag! 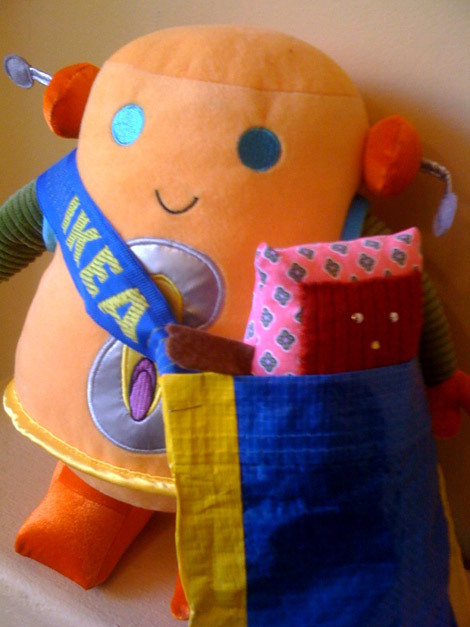 She also made a mini bag for her nephew’s toy so there’s more to do with the blue bag! If you don’t dare turn it into an outdoor halter dress, you may just as well wear it as a waterproof apron. …….and he hates the interwebs. He really does! That is pretty fabu I’d say. 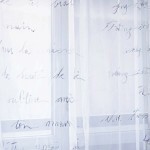 I like it when people are creative with everyday things. Inventive. That’s also a good word. In need of a big apron of late I used a big sized bin liner and a belt.